As part of CJP’s super-successful 2016 Annual Campaign, our campaign co-chairs pledged to donate an additional $100,000 if we reached 1,000 individual donations. Well, we did, and they did – thank you! And believe it or not, you can still add on to this year's campaign numbers when you donate here. August isn’t all about flip-flops and sunscreen. It’s also the time to think about how you’ll spend Rosh Hashanah and Yom Kippur. Good news – CJP’s Young Adult High Holiday Ticket Match, which will connect you to the holiday services in your area, launches on August 22. You’ll get an email from us later this month to find a location near you. After moving to Boston in 2007, Robin Cohen often questioned her own connection to the Jewish community. So she volunteered. She learned. She made new friends. 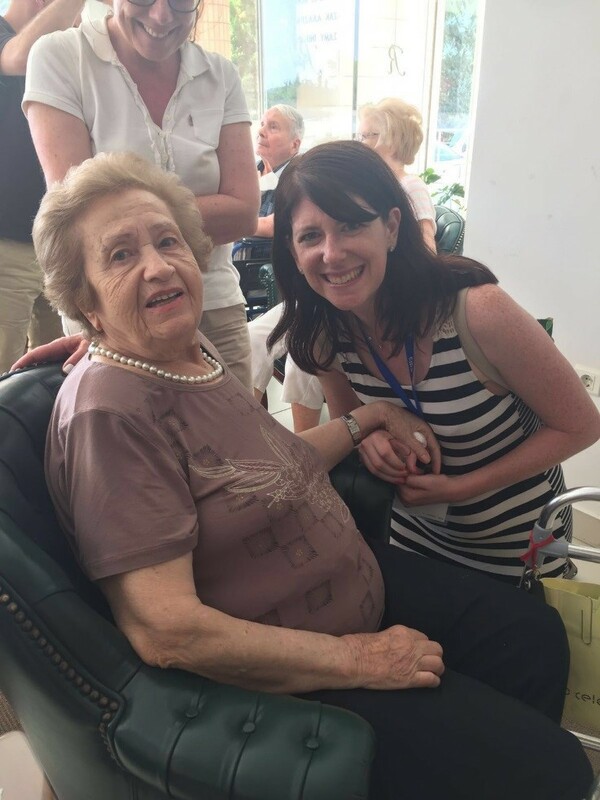 But nearly ten years later, it took CJP’s Sea to City Mission to Greece and Israel half a world away to fully strengthen her bond to the community back home. Check out Robin’s blog to read her full story. A key component of Jewgooders is joining together to help those in need. In that spirit, all proceeds from Jewgooders (Thursday, August 4 from 7:00-10:00 p.m. at CitySide Bar) will support the Moishe Kavod House, which was ravaged by a major fire on Wednesday, July 27. We hope you'll register to join us on Thursday evening as we stand with Moishe Kavod House during their difficult time. Join us and let us introduce you to more than 70 organizations at our Open House Party on Wednesday, September 14 at the Boston Design Center. They’re looking for people like you to get involved. Find everything from volunteer and travel opportunities to social gatherings and sporting events. Hundreds of Jewish young adults from Greater Boston will be there for an evening of noshing, schmoozing, and fun ways to get involved in the community. To learn more, email Jen at jenm@cjp.org. This is definitely not your parents’ Shabbat dinner! YJP Boston’s “Shabbat Under the Stars” combines a spirited outdoor setting with an upscale dinner, open bar, and dessert buffet. Plus, enjoy plenty of networking time with other Young Jewish Professionals in the area. The fun takes place at the Chai Center in Brookline on Friday, August 5. On August 12, spice up your Friday night routine at the monthly Soul Food Friday musical Shabbat. Before this engaging Qabbalat Service gets started, mix and mingle over wine and cheese. Afterwards, enjoy a delicious dinner with a side of schmoozing with others in their 20s and 30s. A Japanese klezmer band walks into an Irish bar…this isn’t the start of a joke. It’s a uniquely awesome event sponsored by the Jewish Arts Collaborative at The Burren in Somerville on Tuesday, August 30. The band JINTA la MVTA will offer up their wild interpretations of songs ranging from traditional Yiddish tunes to Frank Zappa covers. So fun! Members of the young Jewish community came together to learn how to combine their career goals with their personal passions. 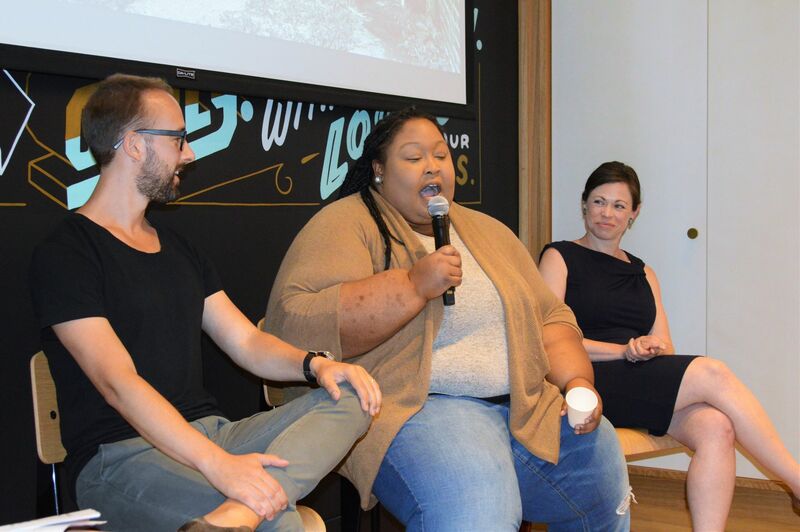 A panel of social impact professionals shared their stories of what it takes to build a meaningful career with real purpose. If you're interested in events similar to this one, reach out to Harris Rollinger at harrisr@cjp.org. 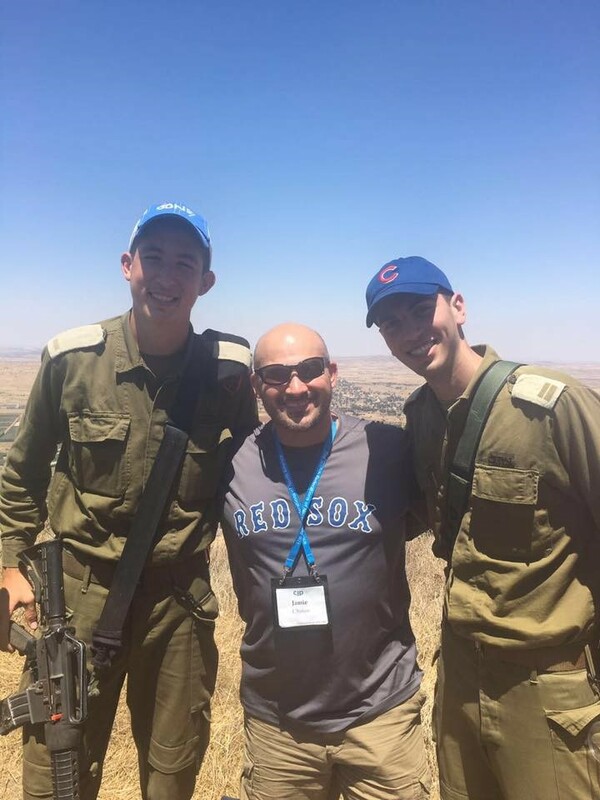 Our Young Adult Sea to City Summer Mission to Greece and Israel returned to the States last month, and everybody is still talking about how rewarding and enriching the trip was. See what made this journey so memorable by scrolling through the photo album featuring our participants and their new friends. Tisha B’av, The Fast of the Ninth Day of Av, is observed on August 13. What started as a day of mourning to commemorate the destruction of the first and second temples – which both took place on the ninth of Av – has evolved, for many who observe it, into a day to give thought to all of the tragedies that have affected the Jewish people throughout history. Friday, August 5 | 7:41 p.m.
Friday, August 12 | 7:32 p.m.
Friday, August 19 | 7:21 p.m.
Friday, August 26 | 7:10 p.m.